La Di Da, I have nothing interesting to say! What do you call a profile without a joke? All avatars are reviewed by CEVO staff prior to activation. Profane or obscene images are not allowed. NOTE: You are about to to send a private message to a CEVO staff member. This is not a support channel. 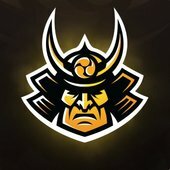 If you are in need of help from CEVO staff please visit http://cevo.com/support/ and we'll do our best to assist you in a timely fashion.